The unthinkable has happened, and you need to report identity theft. What do you do? First, remain calm. While this can be upsetting, you can take steps immediately to take control of the situation. Immediately, contact your financial institution. Tell the representative what happened – your wallet is lost, credit card and/or other information was stolen, you received charges or bills for things you did not purchase – whatever the case may be. In most cases, the bank or credit card company will work with you to close out your accounts and set up new ones right away. You may not have access to all of your funds immediately, so be prepared in case this happens. The next thing you should consider doing is calling your local police. Having a police case number can be useful for the next important step, which is placing a fraud alert on your accounts. The police case number tells the credit reporting companies that this is a serious matter. To place an initial fraud alert, you must contact one of the three major credit bureaus. You need only contact one of these credit bureaus and ask for a fraud alert. Placing a fraud alert is free and the one company you call should contact the other two credit bureaus. A fraud alert will make it harder for a crook to open new accounts in your name, so this is an important step when you must report identity theft. The fraud alert is active for 90 days, and you may need to renew it. 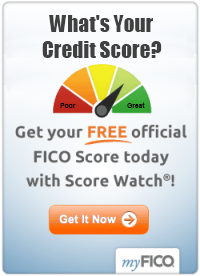 Yet, you need to obtain a free credit report from each of the three credit bureaus listed above. By law, you are entitled to this report because you have placed a fraud alert on your file. For more information, click here: Securing Free Credit Reports. Explain to the companies that you have a fraud alert on your file and ask for your records. Once you receive them, check them closely to see if there are any accounts open that you do not recognize. Lastly, you should create an identity theft report and file it with the Federal Trade Commission. This report will help you to remove fraudulent information from your credit record, stop debt collectors from hassling you for money you did not spend, and place a long-term fraud alert on your file with the credit bureaus. The FTC has a complaint form available at this link: https://www.ftccomplaintassistant.gov/#crnt&panel1-2. Also, you can a call the FTC at 877-438-4338 OR 866-653-4261 (TTY). Be sure to follow all the advice and directions you receive on forms and from representatives. You may need to follow up these telephone conversations with letters, so be sure to take good notes. Write down the names of the people you speak with, the accounts in question, and any other pertinent information. Make a note of the police report numbers, the FCC report numbers, and all dates. Keep track of when things must be turned in or when fraud alerts may end. Be polite at all times; remember, these people are trying to help you. It can be scary to have to report identity theft, but with patience and time, this can be fixed. 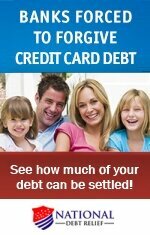 Share Your Debt Relief Tips! Copyright © 2012-2019 • Sowder Group LLC • All rights reserved • Content may not be reproduced. publisher is not liable in any way for use of content provided. Always consult with a professional advisor for counsel related to your needs. Please see links below for more information.